Home » Painting Holidays France » What Next ? Well, it’s that time of the year again. Christmas is nearly upon us and then the New Year will bring with it the usual list of resolutions.Will you be making any ? 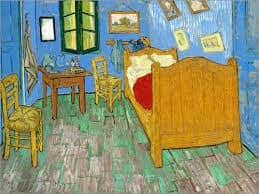 Perhaps it will be to eat more sensibly, to take more exercise or to take up a new interest……such as painting. I hope so, because if you discover that you have a gift for it, you will find it very rewarding and I always think it’s almost a sin to waste a talent. A new lady buy cheap kamagra 100mg joined my regular art class recently and she has been amazed by not only how magical working with watercolours can be, but also how much fun she is having. She has had a difficult year for various reasons, yet the two hours a week she spends in class is most therapeutic. All here worries disappear and she is always surprised at hour quickly the two hours pass. So why not give it a try and have a creative 2013. An unplanned Artist’s Adventure starting in Juan les Pins. 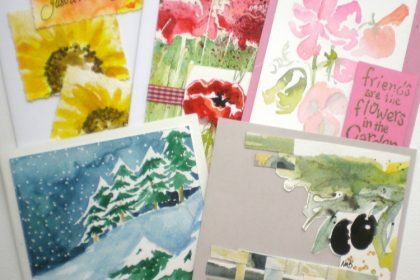 Up-cycle your watercolour paintings to make greeting cards.